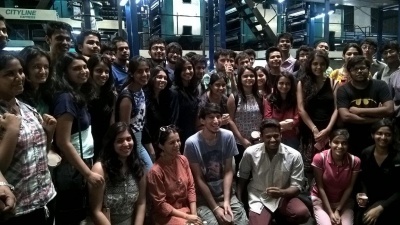 The students of IPM (2014-19) batch visited two media organisations in Indore as part of their course ‘Introduction to Journalism’ on May 19, 2016. 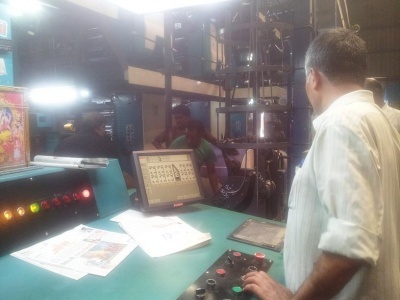 The visit included a tour of the ‘Naidunia Printing Press’ which is a state-of-the-art facility from where many publications including Times of India and Economic Times are printed. 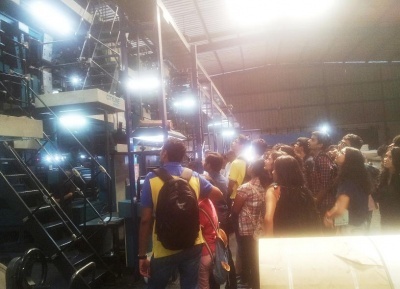 Around 42 students witnessed the live process of printing of ‘City Live’ supplement of Naidunia.The students were excited to witness transformation of a computer designed page into lakhs of printed copies in a matter of minutes. The second organization visited by the students was All India Radio transmission centre. The students got an opportunity to interact with the employees at both the media units and to understand the functioning of the unit at different levels. The Media visit was facilitated by Dr. Akhtar Parvez, Librarian, IIM Indore. 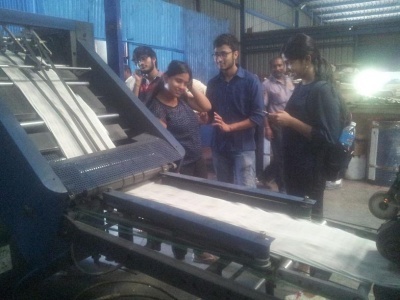 Professor Deepti Ganapathy, Faculty, IIM Indore and the course instructor accompanied the students.